Bailey resides in Tuxedo Junction's special “Pee Palace” because he tends to mark his territory or have accidents outside the box. He is painfully shy around anyone he is not familiar with. We have never heard of autism in cats, but this is the closest way we can think of to describe Ellie's special personality traits. She seems to not quite know how to be a cat. Brandi is such a pretty girl, but she never outgrew her fear of people. She so much wants to be friends with other cats, but she is scared of them, too! Most other cats can sense this, and they harass her. So she tends to keep a very low profile, although she does enjoy playing with toys when she thinks no one's watching. 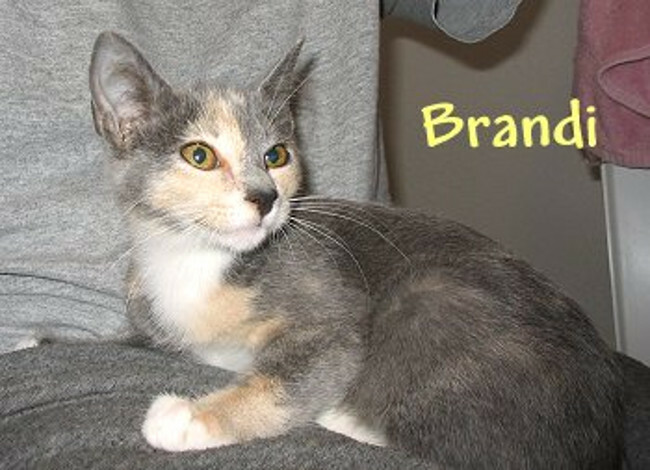 Brandi has progressed to the point that she does not always run when a human enters the room, and if the human will lie down, she might even come close enough to get head scratches and tummy rubs. Brandi gets prescription food to prevent bladder stones, for which she had surgery a few years ago. In addition to being very scared of most people, even when she is able to relax with a human, she doesn't show affection or pleasure in typical kitty ways. It took her over two years with us before she figured out how to purr! 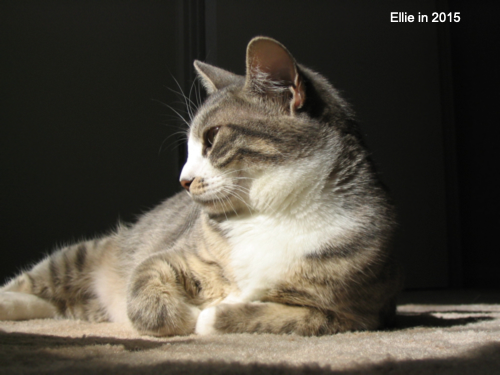 Ellie receives medication for arthritis, but is in good health otherwise. Nicki has a feistiness that is way out of proportion to her small size. In fact, some would describe her as mean, since she seems to enjoy attacking other cats for no reason (or at least for reasons we have yet to determine). Her ultra-dominant personality has led the other cats to give her wide berth whenever they can, and Nicki seems to enjoy being the All-Powerful Queen! 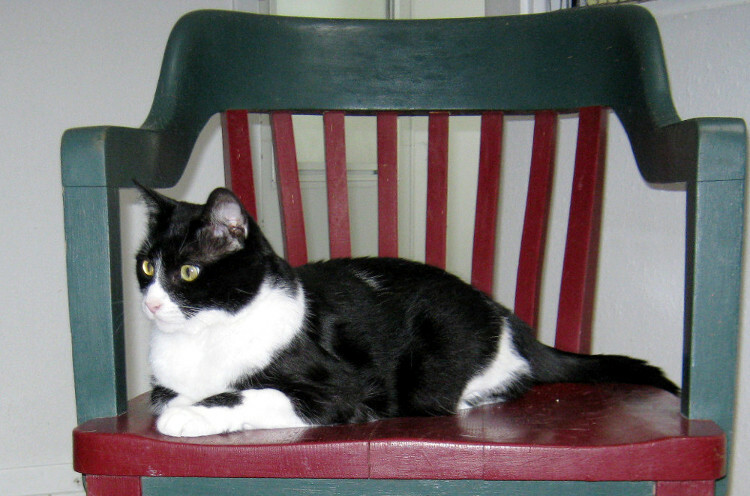 This handsome boy, nicknamed "Even Steven" because his markings are so perfectly symmetrical, was adopted several years ago, but unfortunately the adoption did not work out because the change in surroundings/people totally freaked him out! Even with the best of attempts to make him feel at home in his new location, he refused to eat or some out of hiding, although he returned to his old self once he came back to Tuxedo Junction. Some cats simply cannot handle change, and Steven is one of them. He will live out his life among his familiar surroundings, receiving love and the best care we can provide. Owen is playful, active, and into everything, but he also enjoys getting pets and snuggles from humans when he is tired of playing. 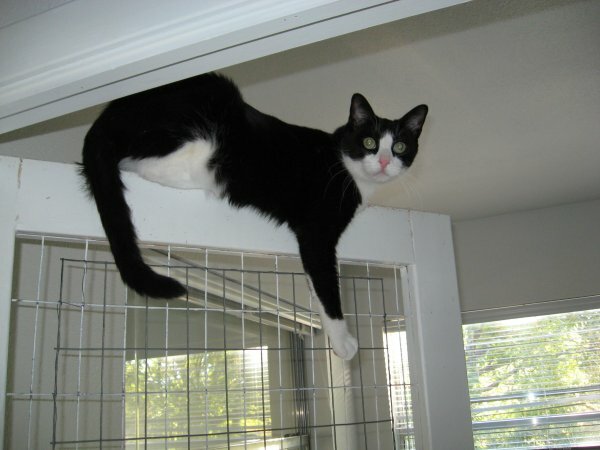 He has a very dominant personality, and insists on being large and in charge, which has limited his adoption chances into homes with other pets or small children. However, we are still holding onto hope that Owen may find a real home someday, because he can be quite a charmer at times, and would enjoy getting attention from a person of his own. Owen is healthy, tests negative for FIV/FeLV, is neutered, up to date on vaccinations, and microchipped. Kirsten is a true love bug! 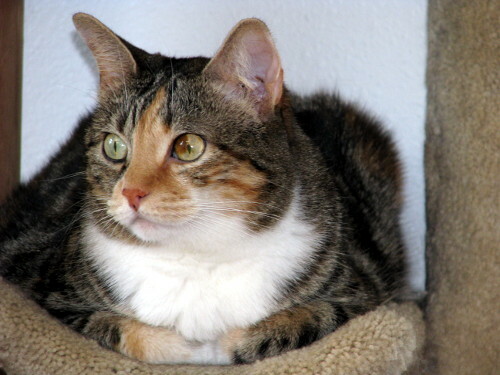 She was bottle fed beginning when she was about a week old, and as a result, she is very well socialized and extremely oriented toward people. She once had a home of her own, but was surrendered by her people for pooping outside of her litterbox. It turned out this was due to a medical problem, which has since been resolved, but not before this habit became part of her behavior. It is possible that she could be retrained with time and patience. If that wasn't enough, sweet Kirsten had dental disease that required the extraction of many teeth, and her jaw was broken in the process. She is all better now, with just the hint of a crooked smile, and she can eat all kinds of food. She has also had some issues with her salivary glands swelling, so at times she has an extra-puffy face, but this problem is strictly cosmetic and doesn't bother her. We are still hoping that someone will overlook Kirsten's issues and want to give this loving girl a real home. She wants nothing more than a warm lap, and someone to give nose-kisses to. She is a people-kitty, not a cat-kitty and would be so much happier with a person or people to call her own. 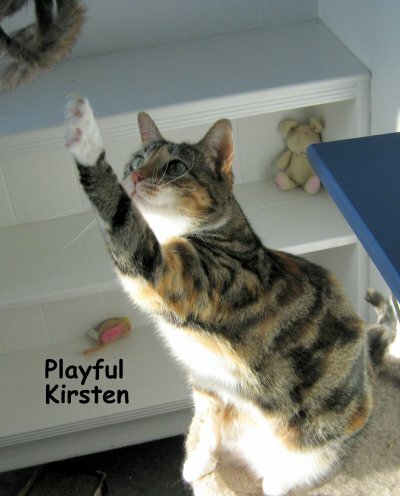 Kirsten is spayed, tests negative for FIV and Feline Leukemia, is microchipped, and is ready for someone very special to give her a new chance at a real home. Friendly and talkative, Spencer is fun to hang out with. He enjoys chattering at the birds he sees outside the window, and although he is not particularly snuggly, he recently has been checking out human laps for brief periods. 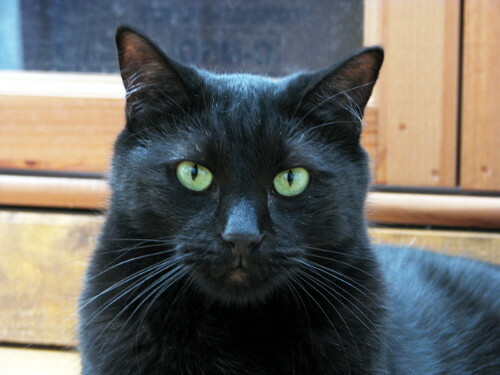 Spencer is in good health, is neutered, tested neg/neg for Felv/FIV, microchipped, and is up to date on vaccinations. Tess thinks she is a feral cat, although she enjoys all the perks of living safely indoors, including three squares a day, sunny windowsills, and toys (especially balls). She was found as a stray and came in to Tuxedo Junction with a leg injury, but after her recovery and attempts to socialize her to humans, she has remained stubbornly anti-human for the most part. 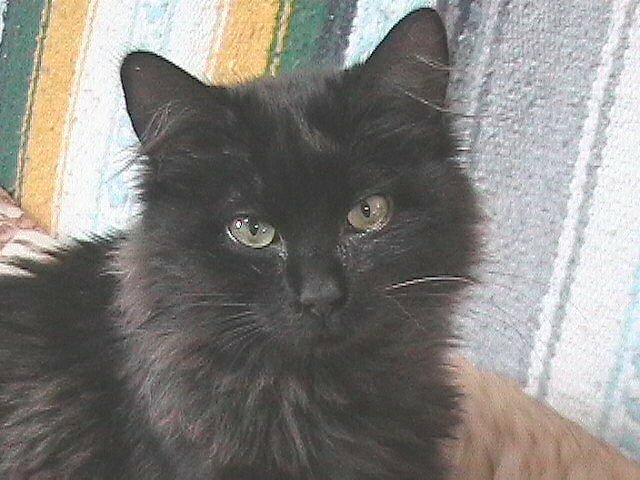 Tess is available for adoption to someone who is familiar with pseudo-feral cats and doesn't mind being hissed at! It is possible that in a different setting she might come around to some extent, but anyone who takes her in would need to be willing to love her just the way she is today. 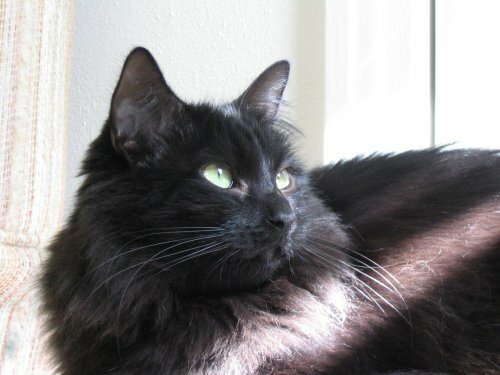 She is very fond of Owen and Spencer, and would likely have fewer adjustment issues if adopted with either of them. Tess has lost her top teeth to dental disease, but she has no trouble eating – in fact, she is on the chubby side! Otherwise, she's in good health, has been spayed, tested neg/neg for Felv/FIV, microchipped, and is up to date on vaccinations. Ricky is painfully shy and very afraid of most people. 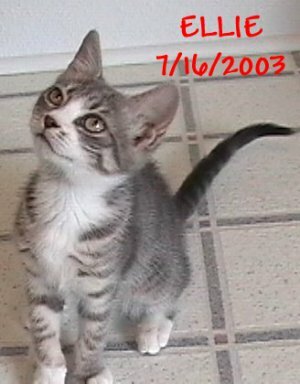 He was not well cared-for as a small kitten, which may be the reason for the fear he has had of people throughout his life. Still, we would like him to have a chance at a real home, with an adopter who is experienced with scardy-cats, has the time and patience to work with him at his own pace, and will love him just the way he is. Ricky loves all kinds of toys, as well as playing with other cats. He has lush, ultra-soft fur and it's obvious he loves petting and back scratches in those moments when he feels secure enough to allow a bit of human contact. He is in good health, neutered, tested neg/neg for Felv/FIV, microchipped, and is up to date on vaccinations. 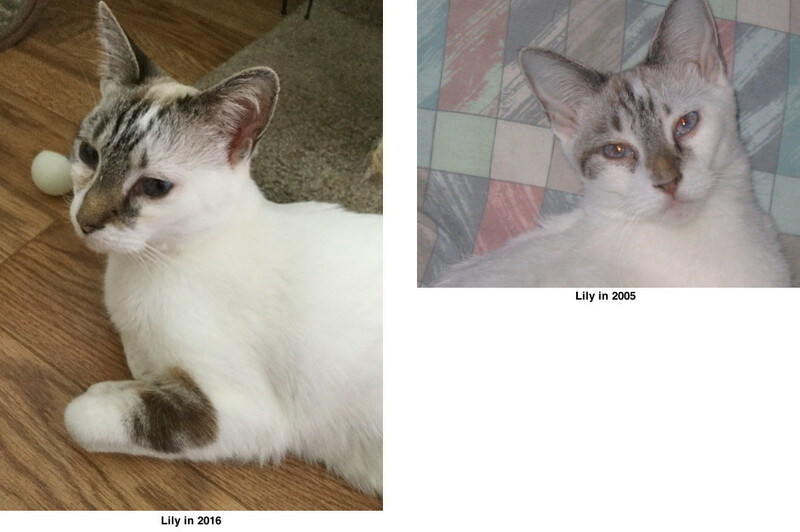 Lily had a pretty good life with her people for almost 10 years. And then they moved out of the country, and placed her with a friend. Unfortunately, this new home was not a good fit for Lily. Because we provide a lifetime safety net for all the cats who come through our doors, she returned to TJR in the spring of 2016. Although she wasn't thrilled with having so many new kitty companions, both Lily and the rest of the gang learned to steer clear of each other to keep the peace. 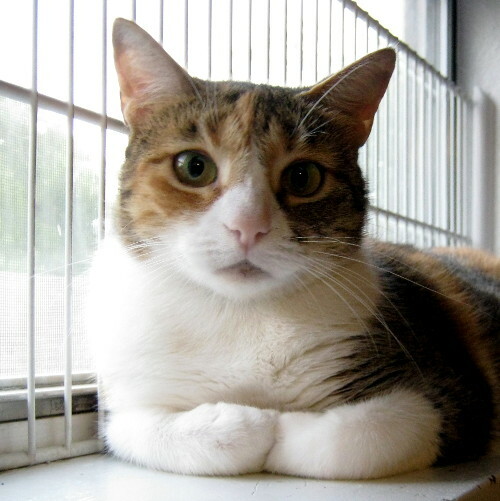 Lily has found her own special sunny windowsills, sleeping spots, and favorite toys, and seems quite content with her new surroundings and new people. 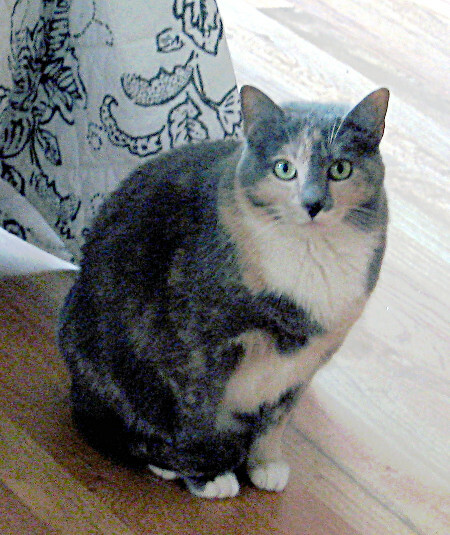 She remains the sweet, affectionate, lap-seeking kitty we remembered from her earlier days with us. After taking her in, we learned that Lily is in the early stages of kidney failure, so she now takes daily medication to support her kidney function. She also gets regular face-washing for chronic eye discharge. She hates both of these, but fortunately, does not hold a grudge against us, and returns to her delightful purring and head-butting self once these tasks are completed. Because of Lily's age, special needs, and her issues with adjusting to her second home, we decided not to seek a new home for her, and she will remain as a permanent member of our sanctuary. 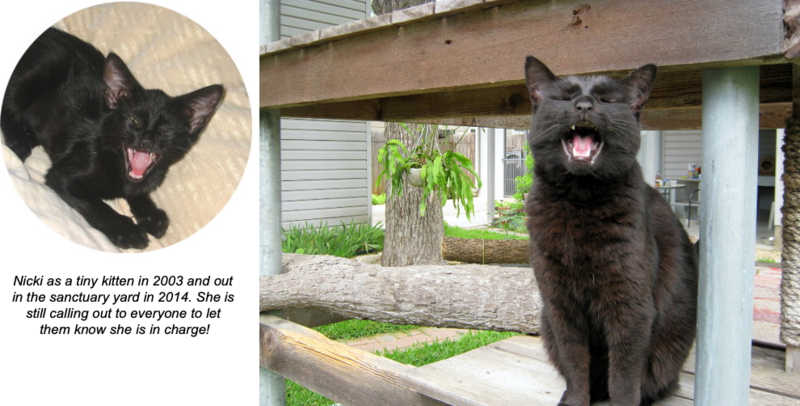 Gracie is a cheerful kitty despite chronic eye and sinus problems that cause congestion and a nagging cough. She is very tolerant of the frequent face-washings she must have to keep her face clean from her eye discharge is as sweet as can be! Rescued as a scrawny, malnourished kitten, Avery grew into big, friendly boy, with a squeaky meow that doesn't match his heftiness. 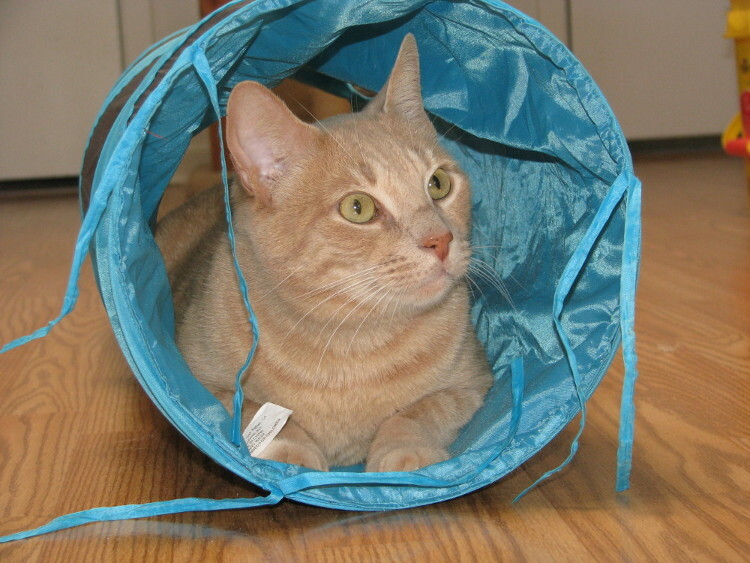 He adapted well to being partially blind in one eye from an injury that occurred when he was small. He receives daily medication for hyperesthesia. 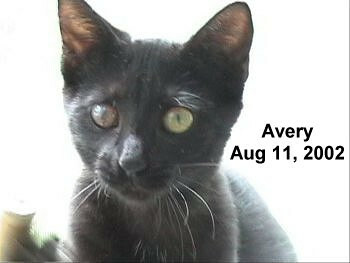 Avery was a little scrawny kitten living in a tree whose entire family had fallen victim to coyotes. Today, as seen on the left, he's a big happy boy whose lack of clear vision in his right eye and hyperesthesia does not prevent him from enjoying life. 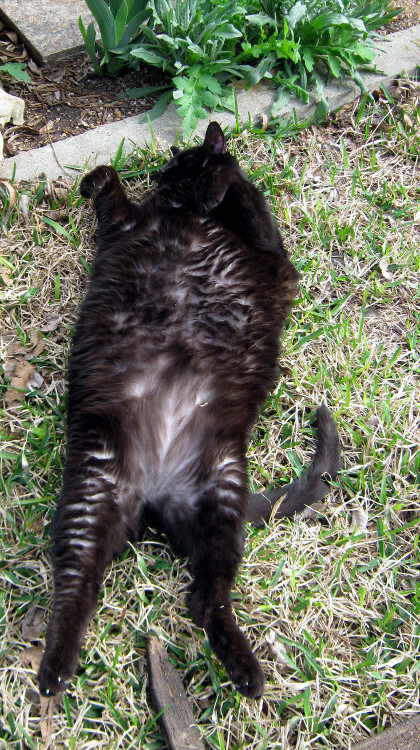 Avery is one of the cats that love to romp outdoors in their safely Cat-Fenced-In yard. They have freedom to play yet cannot get out of the yard nor can other cats or predators come in!